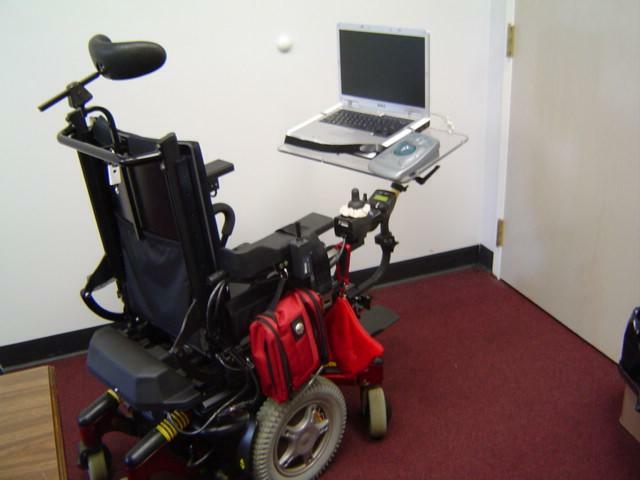 is upgrading to a laptop mount that folds behind her chair, and a ball retaining system is needed to prevent the ball from falling out of the trackball when the mount is folded back or she is driving her wheelchair. A ball retainer that would snap on around the trackball was made with 1/16th thick Plexiglas. A rough template outlining the locations of the ball and button locations was drawn on a 10" by 6" piece of Plexiglas. 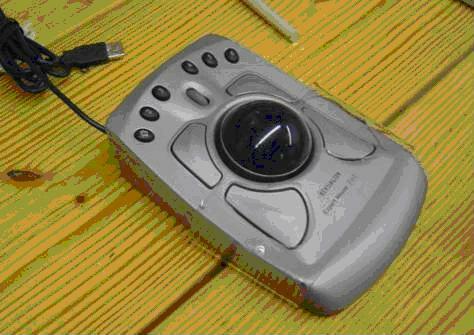 The trackball is 2 1/4" diameter, and the ball hole was cut with a 2 1/8" diameter hole saw on a drill press. A deburring knife was used to smooth the edges of the hole, and enlarge the hole just enough for the ball to roll freely. The contour around the top buttons, and the holes for the bottom buttons were cut with a scroll saw, where the blade was coated liberally with 3 in 1 oil to prevent the plastic from sticking to or binding on the blade. The edges were smoothed with the deburring knife and fine sand paper. 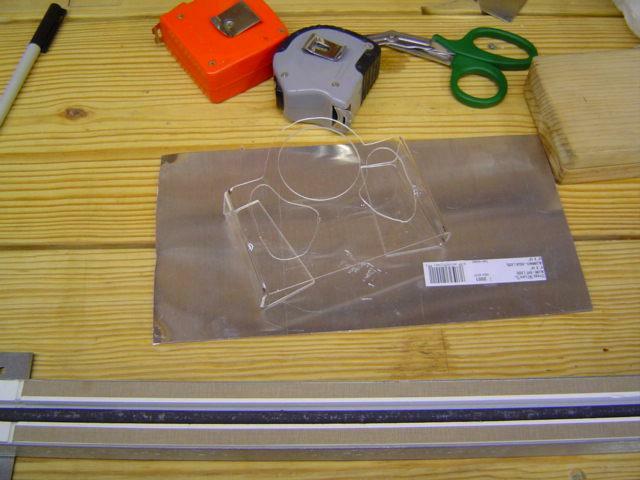 A strip heater was then used to head and bend the Plexiglas to wrap around the trackball. The guard easily sides on and off the trackball from the bottom.